Double Curbs are unbeknownst to many as they have no conventional construction application. This curb system is typically used when the roof top unit weight cannot be supported by purlins alone, and loads must be transferred to the main frames with I-Beams. Roof top unit weight will not allow thermal movement of the Standing Seam Roof System if the units were placed on standard curbs attached to the roof. 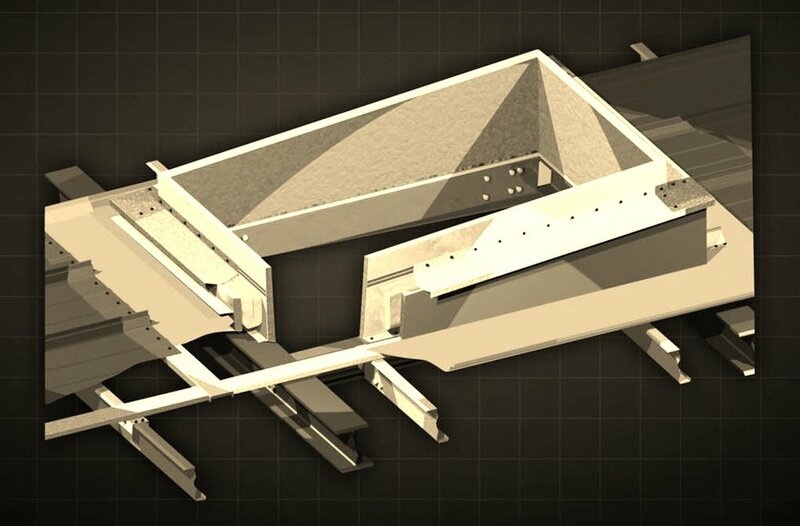 HVAC ductwork requirements can belarger than the purlin spacing permits which requires structural framed openings and the use of an inner structural curb with complimentary outer curb for correct integration with the floating roof system. The outer flashing curb is available in both Flat-Flange or Seam-In style depending on your warranty needs or preference. Please contact us to coordinate your Double Curb roof penetration system.